Searching for a South Florida beach wedding venue in Florida? 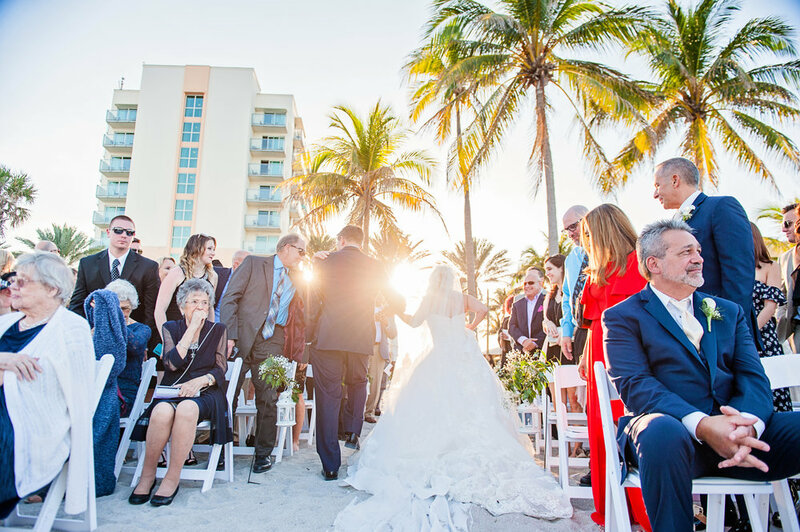 The Hollywood Beach Marriott on the famed Hollywood Broadwalk offers everything for your guests, and most importantly…you. Our destination venue in hollywood beach, Florida offers one wedding at a time, so it’s all about you, your attendees, and your special day. Getting married in Florida with our creative and brilliant team ensures your wedding is amazing along the Broadwalk and beach, from check-in to check-out. Offering outdoor and indoor options, delicious cuisine, and overnight accommodations, we welcome you to our paradise. For a video tour, click here. Ready for TRIPLE Marriott Rewards® points?